The Emilia-Romagna region of Italy is truly a food lover’s paradise, and the history behind the artisan products you can find there is just as beautiful and rich as the food itself. Read on for a foodie’s guide to the Emilia-Romagna region of Italy! 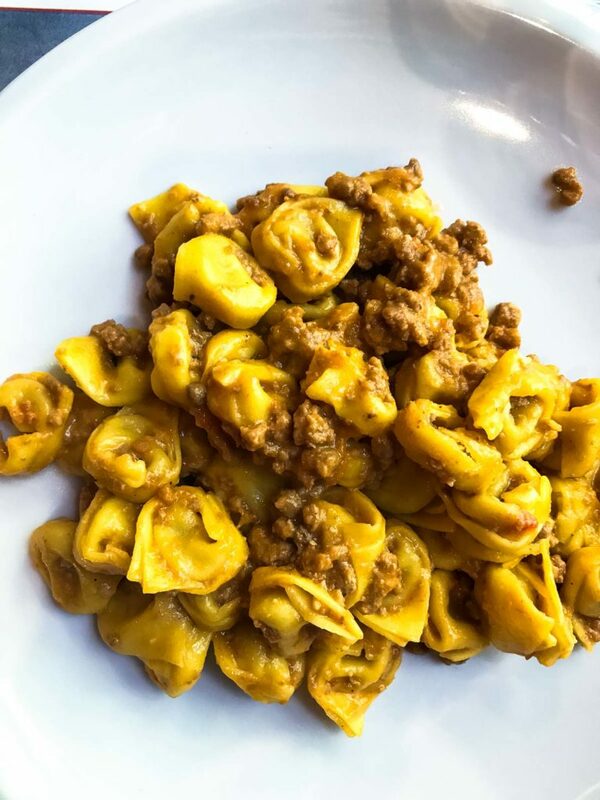 During the course of my three-week stay in Florence with study abroad students, we took two day-long trips (via train and bus) to explore Italian fine foods in the region of Emilia-Romagna. The first excursion included visits to Parma and Modena, and the second trip was spent in Bologna. Although you can easily base yourself in Florence to make these trips within a day, I would highly recommend staying in Bologna for 2-3 days and taking short excursions throughout the region from there. You will be able to taste, see, and do so much more within the region this way! Before you start eating your way through Italy and purchasing edible souvenirs to take home, it’s helpful to know a bit about Italian food certifications. These certifications serve as a guarantee that what you are purchasing is legally authentic and ensures the product was made in the original town/region it claims to come from and with 100% real ingredients. Another reason the certifications are so important is that they serve to protect and preserve ancient food productions methods and techniques, which producers take so much pride in passing down from generation to generation. In Italy, specialty food production is a family affair! DOP – Protected Designation of Origin. This label guarantees that the product you are buying is produced, processed, and packaged according to tradition and in a specific geographical zone or region. For example, DOP certified Parma ham indicates a prosciutto that comes from Parma, Italy. Each step in the process is regulated by a safeguarding consortium, and the certification process is free for any producer who wants to take part. IGP – Indication of Geographic Protection. The IGP certification is less strict than DOP but ensures high-quality products nonetheless. It ensures that at least one step in a product’s production can be traced back to a specific geographical region. The labels for the IGP and DOP products are shown below, and can certainly be a good way to identify authenticity when purchasing imported Italian foods in the U.S.
“Parmesan” cheese as we know it in the States has been a favorite of mine for a very long time – I love the salty, butter flavor and crumbly, flaky texture. I will eat on just about anything if I’m lucky enough to have a wedge on hand! 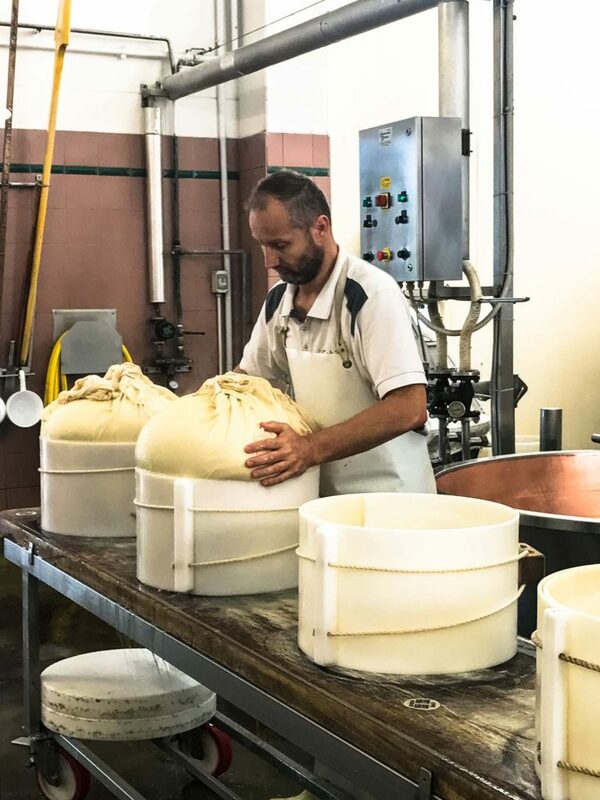 This history, culture, and tradition behind the making of this cheese in Italy is deep, rich and pure. If you get to dive into any type of food history while visiting Italy, I’d start with Parmigiano Reggiano! 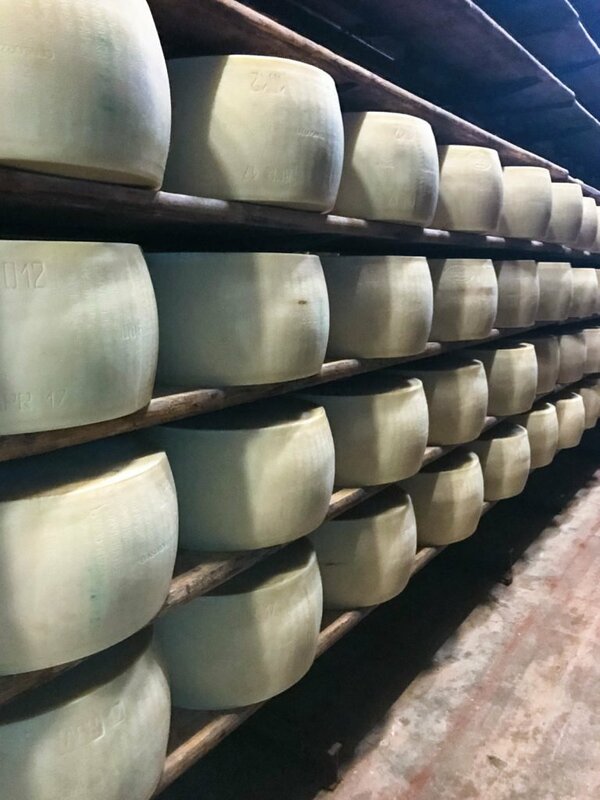 You will be surprised how many dairies in the Emilia-Romagna region welcome foodies with open arms – it’s very simple to find one in the area you are visiting and book a tour + tasting. Visit this link to tour a diary that is certified and regulated by the Italian consortium and get ready to be blown away! Pro hint: a kilogram (2.2 lbs) of a 2-year aged Parmigiano Reggiano wedge, when purchased directly from a local producer, will only cost you 7-10 euro. This amount of this particular kind in the states would cost you 4-5 times as much there, so buy a wedge and take it back with you! They will vacuum seal it just for air travel if you ask! I’ve always been a fan of prosciutto in the States, but let me tell you when I tried the real stuff in Parma, Italy, I knew I had been missing out. The prosciutto that is made in Parma is dry cured with only salt as a preservative. No nitrates, nitrites, colors or preservatives. It has a soft, buttery texture that literally melts in your mouth, which is much different than the gummy, rubbery, “cheap” prosciutto you find at your average grocery store in the states. Prosciutto from Parma costs an arm and a leg in the U.S., so you can be sure I’ve had my fill of the real deal during my 3 weeks in Florence. 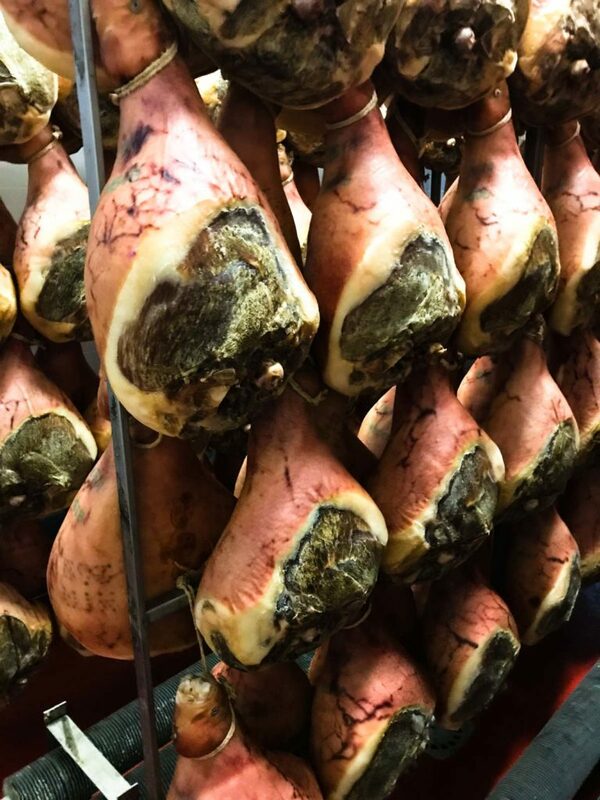 Unfortunately, prosciutto di Parma cannot be packed in luggage and taken back to the U.S.; so take advantage of it and have it as part of a daily apperitivo, in a panini, or piled high on pizza while on your Italian vacation! 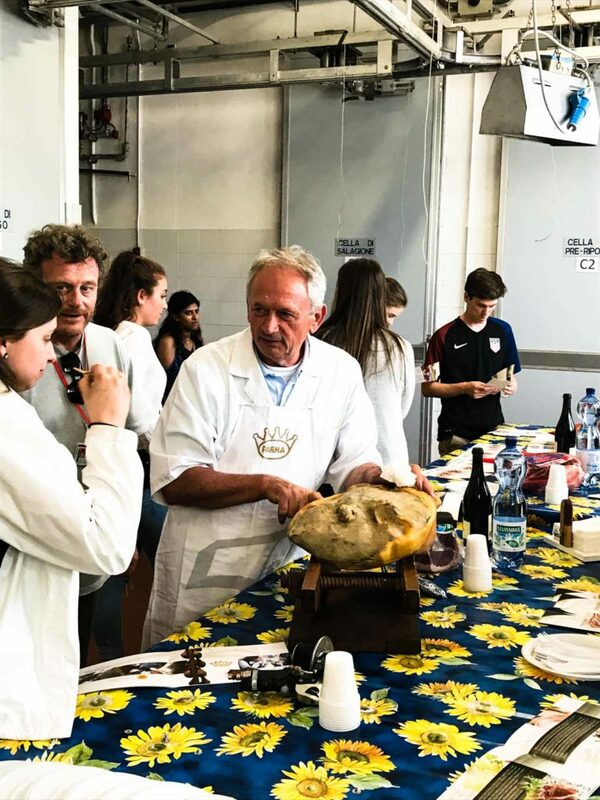 Like with Parmigiano Reggiano, touring a local production site of Prosciutto di Parma and having a tasting is very simple to accomplish. See a list of producers and their locations here. For more on the intricacies of prosciutto production, nutrition information, and more, see this link. 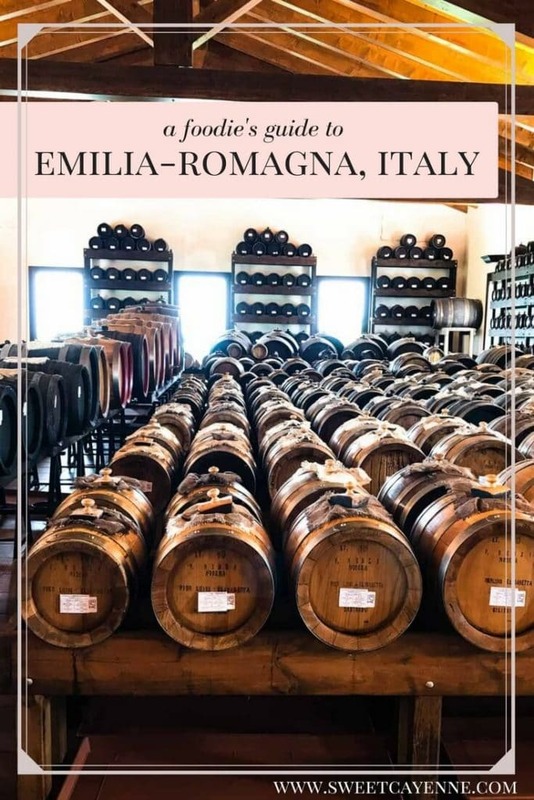 If you are a fan of balsamic vinegar back in the states, get ready to be blown away when you taste the real stuff in Modena – there is no comparison! 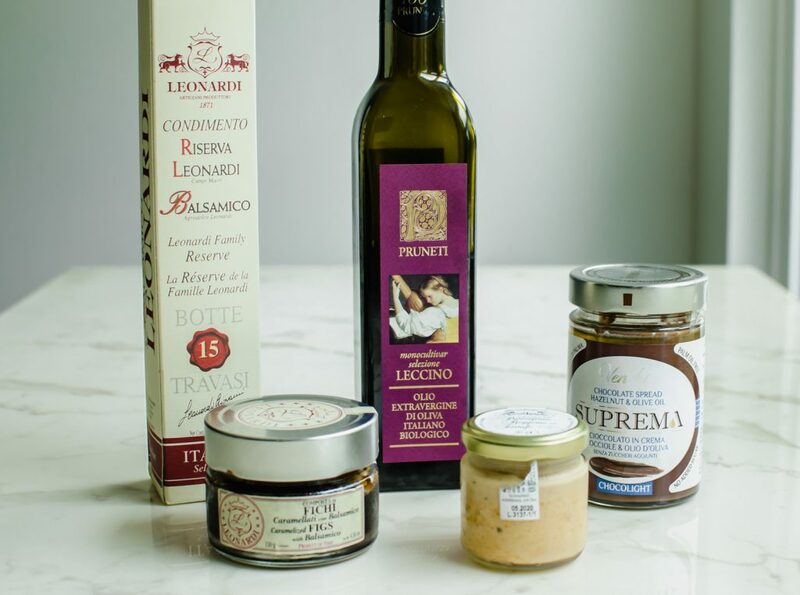 Balsamic vinegar made from grapes in Modena and barrel aged over 10+ years is thick, rich, sweet, and so complexly flavored that you will not believe the difference. I was amazed at how delicious it was – really, I ate it up with a spoon! In fact, barrel-aged balsamic is so precious to the families that produce it, that they often advise you to eat it just by itself as a digestive so you do not corrupt the flavor. 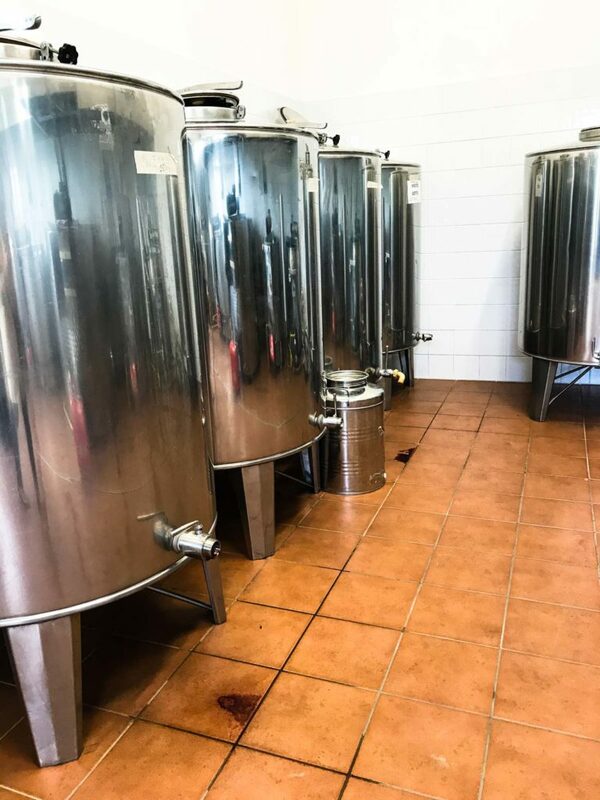 At the particular production site, I visited in Modena, vinegar that had been aged 25 years was referred to as “black gold” and would sell for $200 back in the states. 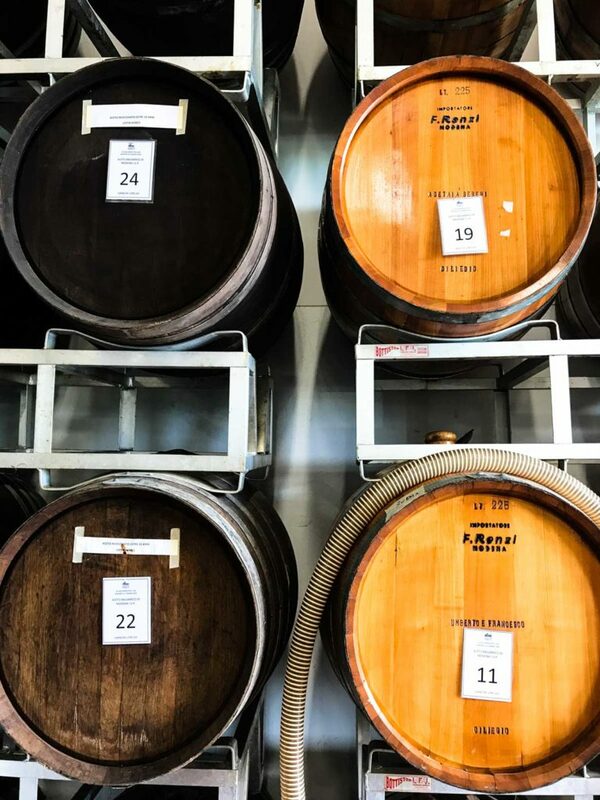 The aging process of balsamic vinegar is particularly complex, involving transfers of the vinegar to different types of barrels each month so that it takes on the flavors of the wood the barrels are made of. It is a truly fascinating technique! To book a tour of a vinegar plant in Modena, visit this link on the official vinegar consortium’s website. For an even more enchanting experience, consider staying at an agriturismo – an actual farm/production site that hosts guests! Acetaia Sereni is the agriturismo/production site that I visited, and I was so taken with the location’s elegant farmhouse and beauty everywhere you look! You book a tour or overnight stay at Acetaia Sereni here. This location would be a great place to base yourself out of for a day or two while you explore other foods/towns in the area. We took a day trip to Bologna as part of the study abroad program, and the entire time I was there I kept wishing I had an extra day to spend! This university town has a lively pulse, colorful architecture, rich history, and an overwhelming amount of delicious regional cuisine. Bologna is also home to a stunning and historical market that’s brimming with handmade goods, fine cuisine (including lovely fresh fish), and exquisite fresh flowers. I’d recommend staying 2-3 days in Bologna, allowing one day for shopping/sightseeing, one for all things culinary (take a cooking class! ), and a third for taking a day trip to a nearby town in the region. We observed a tortellini demonstration at Tamburini, a historic deli, restaurant, and specialty food store with the kindest, sweetest owner ever. 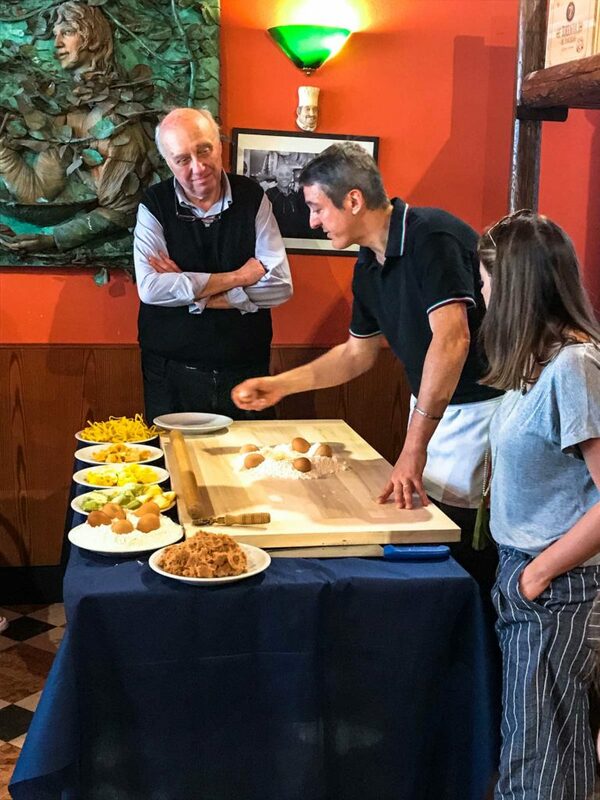 He treated us to a feast after the demonstration of two different kinds of pasta, antipasti with his finest mortadella and prosciutto, and then espresso with local cakes. It was so lovely and was one of my favorite meals of the trip! As you can see, there is SO much to see, taste, and discover in the Emilia-Romagna region. This is a wonderful destination for slow traveling when you want to get away from the hustle and bustle of overcrowded tourist destinations. I’d love to come back here, rent a car, and just drive for a few days – stopping wherever the road takes me that looks interesting! If you’d like more information on planning a trip to Italy, I’ve got you covered! Check out any of the posts below, and let me know what else you would like to see that’s all things Italy! Have you ever visited this area of Italy? Are you planning to? I’d love to hear about it in the comments below! And be sure to Pin this post if you liked it for future planning purposes! Previous Post: « The BEST Souvenirs to Buy In Italy!